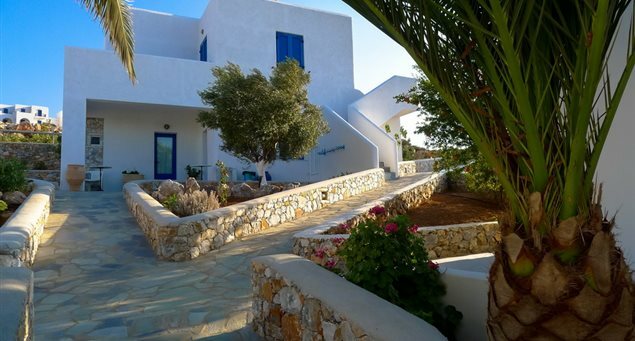 Calm and uncongested, Iraklia is a place for those who don’t demand extravagant luxuries, at least when it comes to material things. 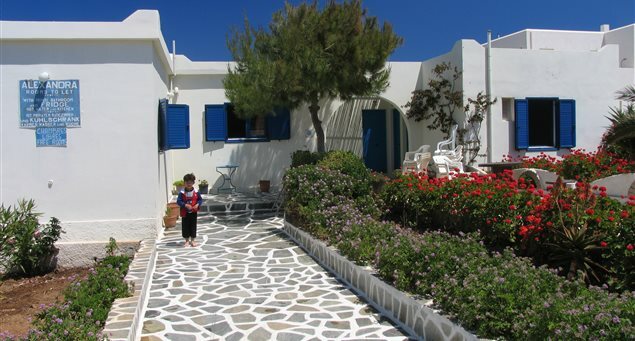 The same goes for the accommodations on the island. 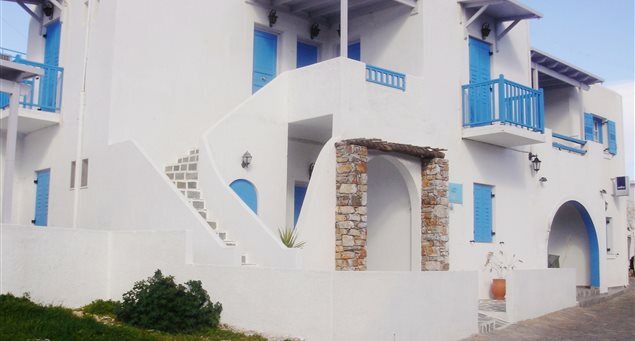 Much less developed than its famous Cycladic counterparts, Iraklia has just a few traditional “cubed” apartment complexes. 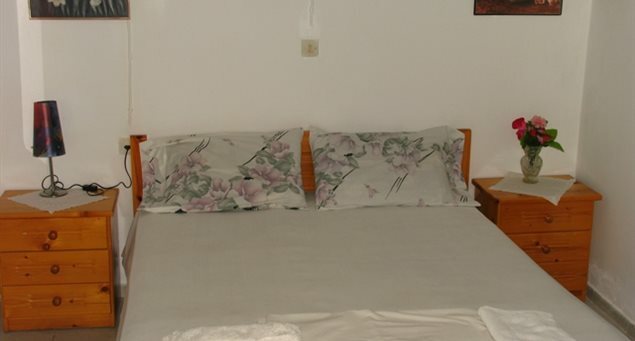 Most feature 6 doubles, although there are three properties that have a few more rooms (10-11); each is equipped with the basic necessities and amenities: balcony, kitchenette, a/c., breakfast, etc. 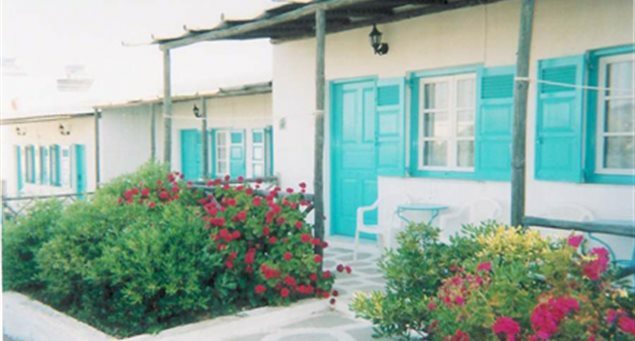 The majority are found in Agios Georgios, the little town just above the picturesque port and adjoining sandy beach. 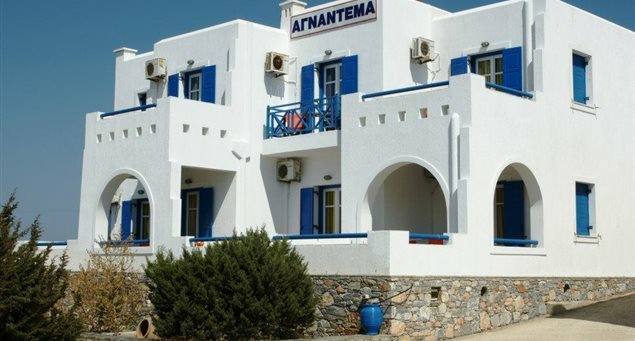 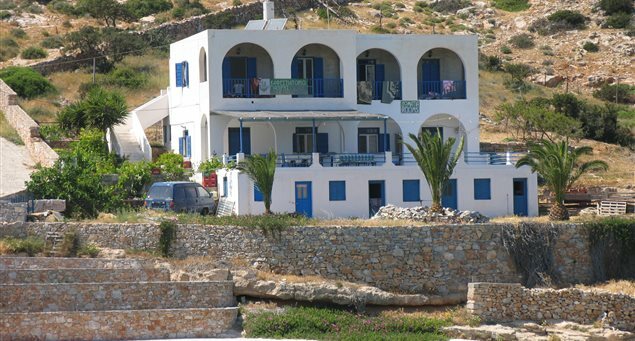 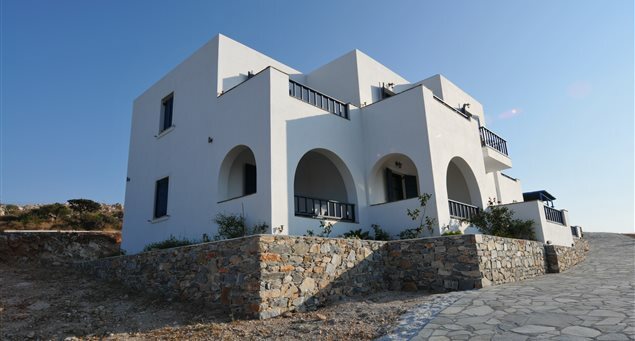 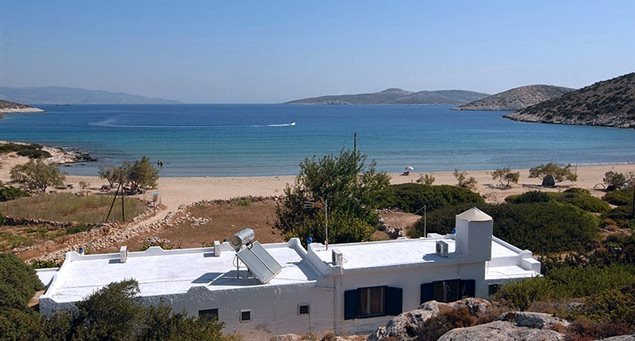 Additional places to stay are located in Livadi, the largest beach on the island and just 1km from the port. 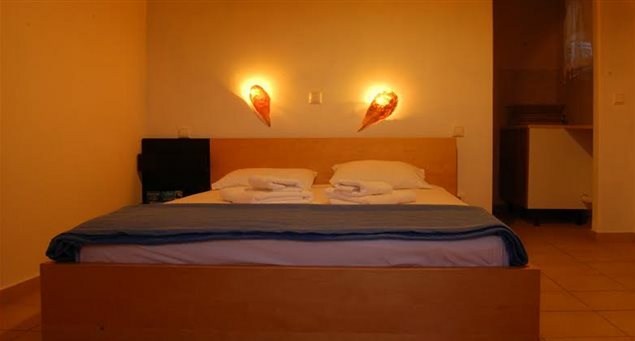 The accommodations range from 1 to 2 key category with prices starting: during the off-peak from 20€ per double room/per day, and 50€ per double room/per day during peak season.